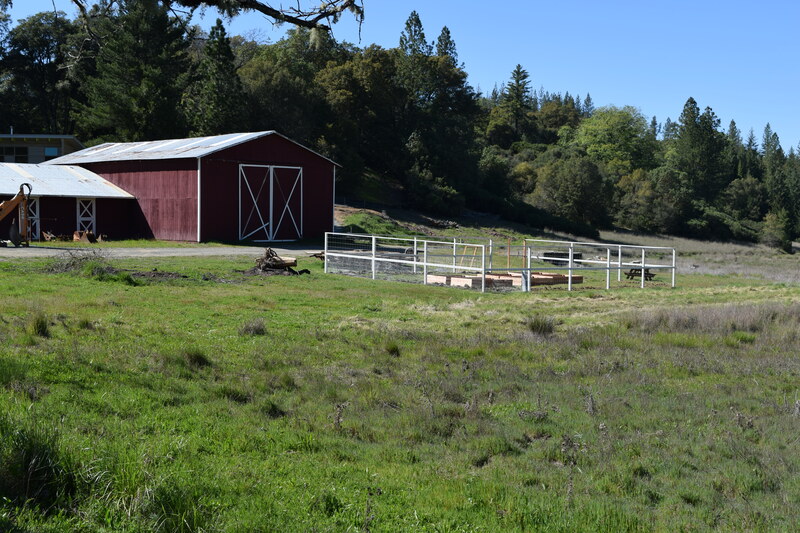 In the past few weeks since my first herbal class at the Motherland Botanical Sanctuary, I find myself walking around the ranch slowly taking in all the plants, weeds, and flowers–really seeing them as if for the first time. Mostly I just recognize dandelions and yellow dock. The other plants growing wildly here are still a mystery to me. After each class session I’ll be bringing home some herbs to plant. This past month I brought home feverfew, day lily, and lemon balm which hopefully will get planted this week. 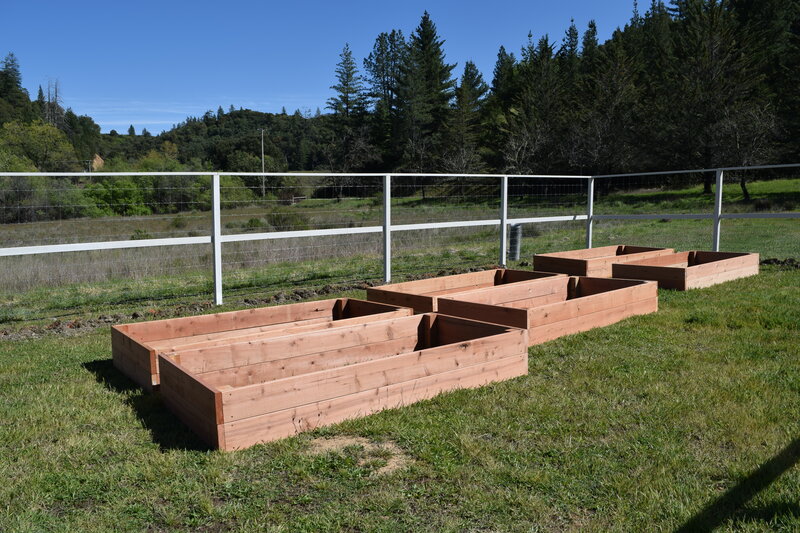 Here’s a close-up of the 4′ x 8′ raised garden beds Stephen made out of redwood. Six of the 15 are made so far. 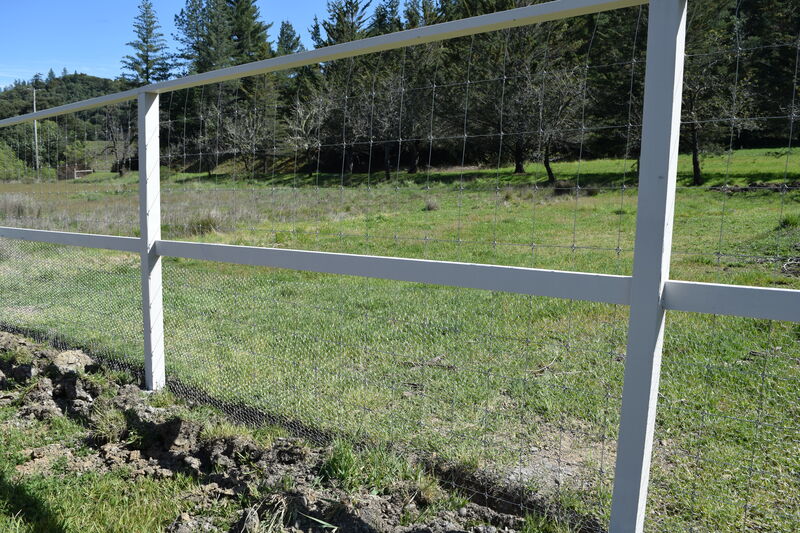 Here’s a close-up of the 6′ garden fence with chicken coop wire on the bottom and larger wire on the top to keep the wild pigs, deer, and hopefully other wildlife out. Unfortunately I think Lester our barn cat will be able to jump on the fence and into the garden. As I mentioned last year when we had our backyard garden, Stephen and I are beginning gardeners, so who knows how this first real adventure in gardening will turn out. 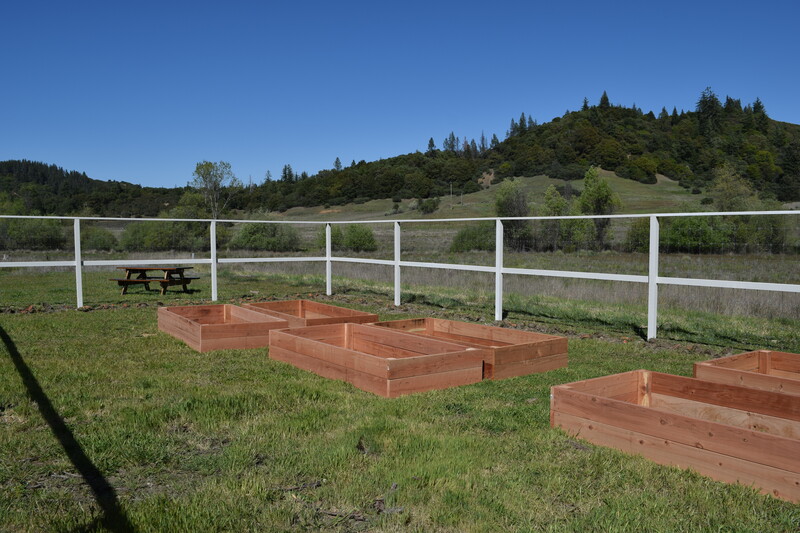 I’ll try to remember to show you how our garden is progressing through the spring and summer months. The good, bad, and ugly but hopefully not too much of the latter two. Bring a quart of water to boil. Pour over herbs and cover to brew 10-20 minutes. Strain out herbs and enjoy! Categories: Food, Gardening | Permalink. 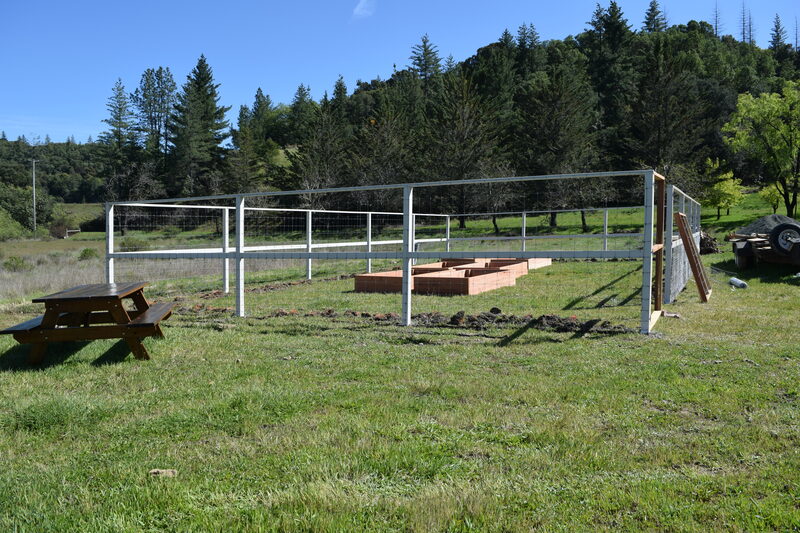 Fence and garden beds look great! Will be beautiful when full of herbs and veggies!